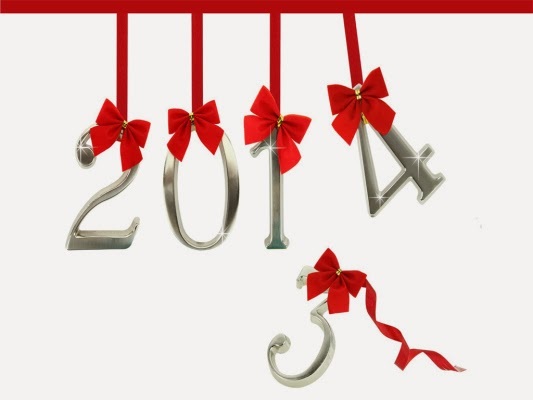 As we say goodbye to 2013 and hello to 2014, we always set resolutions, but then fail within the first month or two and give up. Been there done that. I would beat myself up for about a week and then never try again. Heck by month three I could never remember what my resolutions were! Sound familiar? Well no longer! The last two years, I have been doing a word of the year. It keeps me focused on what I want. What is that you ask? When I started my blog last year, I wrote about it here. To sum up quickly, you choose a word (or for me a word chose me) and focus on that word and what it means to you. I have talked about being in my box, my own comfortable world, and loving it. Well, lately my box feels tight, like it has shrunk, or I have expanded (not in weight. Geez, you guys!) It really and truly is, that I have expanded, grown personally. What was once comfort now isn't and I am seeking new areas, new comforts, new me. What does "brave" look like in 2014? I want to expand my blog. Get into groups, maybe co-host a link up or something, go to a local blogger conference. Any ideas are welcome. Please don't be shy. Share your knowledge on how I can expand and grow my blog. I do not know where to go to start this or where to begin researching for it. As of right now, I don't think I am in it for money, but I want to grow my blog. I want to be me, bravely. Be more authentic and not hold back my emotions. 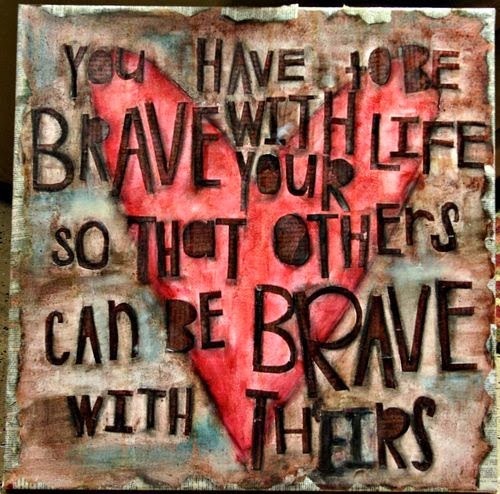 Brave means to be me, not the person who others think I should be or what society thinks I should be. Brave means loving myself as is. Brave means not being perfect AND being ok with that. I want to embrace my future with LT without having a plan. Brave means committing to LT and following the road we are traveling on together. Brave means give and take. Brave means being ok if another year goes by and there is no sparkly ring on my finger because LT and I really do "got" this. I want to pursue new ventures at work. Brave means going outside my box and trying new things in the classroom. Brave means being on committees to expand the district. Brave means selling myself or tooting my own horn. 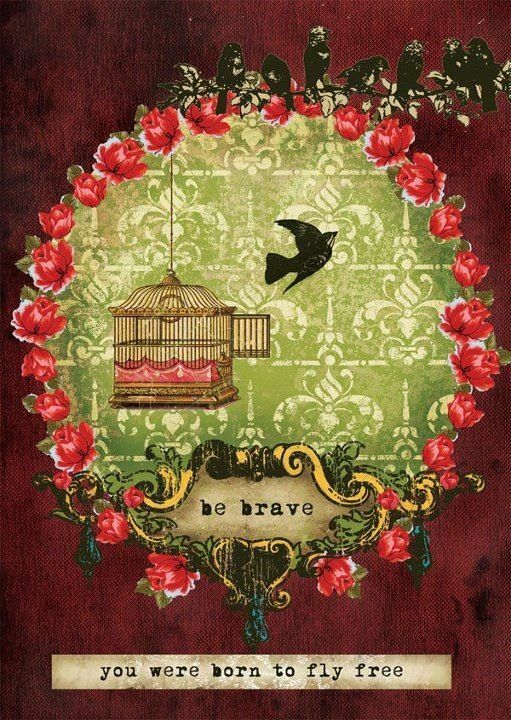 Brave means making uncomfortable decisions that are outside my box. Brave means being honest. Brave is putting me and my needs and happiness in front of others. I am a giver by nature. I want everyone else to be happy even at the cost of my own happiness. It is time to work on me and my happiness. Brave means thinking of myself first. Brave means voicing my opinion and doing what I want, not what I think others want. I challenge y'all to come up with a word for the year not a resolution. It's about growth and being positive not about losing 10 lbs. or having a clutter free house. It truly is about yourself. How can you make you better? When you work on one area, other areas change and grow too. Because of 2013 and the commitment I made to a healthier me, I have lost 10 lbs, but I feel better physically and mentally. I would not be in this spot if I made the resolution to lose 10 lbs. I would have gained weight, ate wrong, felt physically ill. This works for me and I hope it works for you too. If you do chose a word, share it with me. Sometimes, sharing it makes it real, holds some accountability.